Blue skies and sunny conditions greeted the 250 or so people who took part in Sydney Airport’s fourth annual Runway Run. 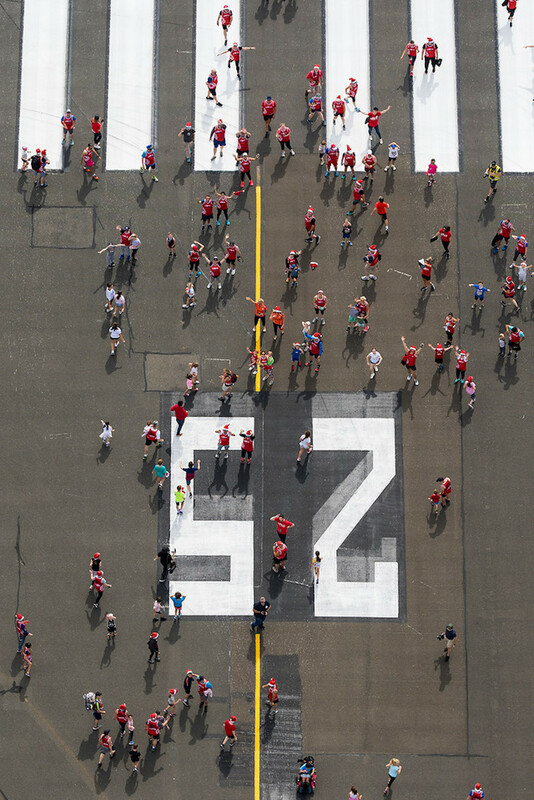 Launched in 2015, the annual charity event gives runners and aviation enthusiasts alike the opportunity to tread on the same piece of pavement on which aircraft take off and land while at the same time helping raise money for charity. The 2018 event, which supports Cure Cancer, was held on Sunday November 25 and featured four races – a 100m dash for children, a 500m run, a 1km run and a relay race involving teams of four – conducted at the eastern end of Runway 07/25. The day also include food, entertainment and family activities. Sydney Airport chief executive Geoff Culbert thanked the community for supporting the airport’s charity work. “Standing on the runway is always an incredible experience – but even more so on a day like this when you’re surrounded by families and community members rallying together for a great cause,” Culbert said in a statement. 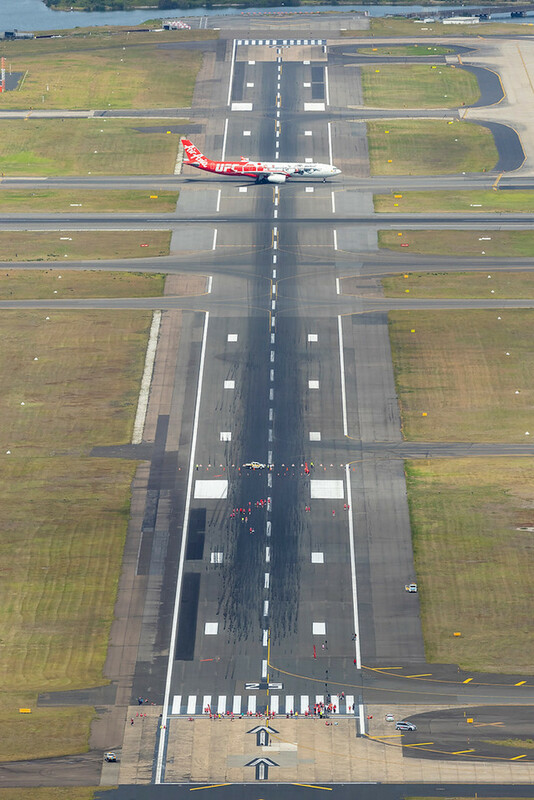 The Runway Run is part of a calendar of events over the next six weeks both inside Sydney Airport’s three terminals and online to increase awareness and raise funds for caner research. Cure Cancer chief executive Nikki Kinloch said it was great to be partnering with Sydney Airport for the second year in a row. 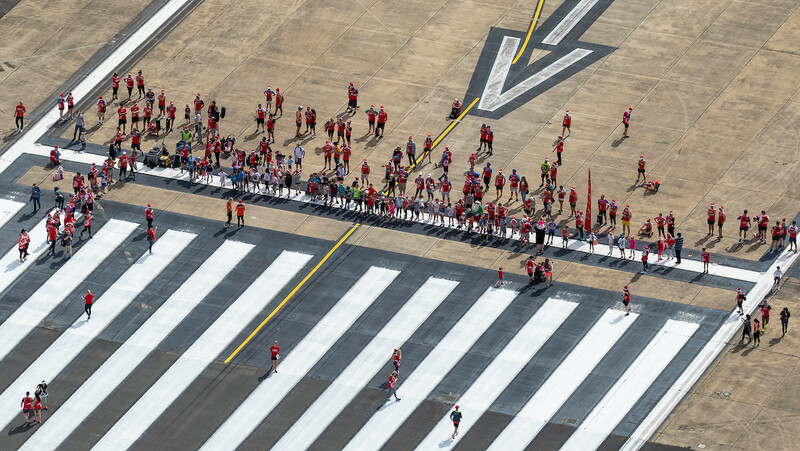 “Seeing our communities come together in support of Cure Cancer at today’s Runway Run was incredibly heartwarming, and we are very much looking forward to working together over the next six weeks at Terminals 1, 2 and 3,” Kinloch said in a statement. “The appeal offers an unparalleled opportunity to raise crucial funds and awareness of the funding needed for early career cancer researchers.